If using crescent roll dough, unroll dough into 2 long rectangles. Overlap long sides to form rectangle; firmly press perforations and edges to seal. If using dough sheet, unroll dough. Spread butter in thin layer over dough. 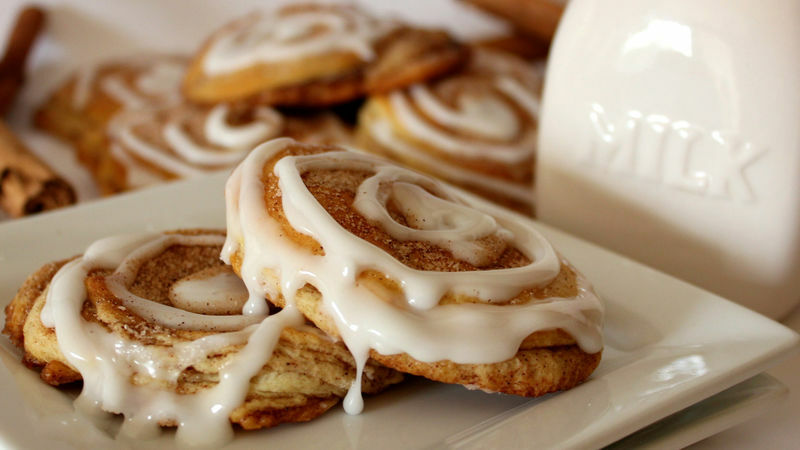 Sprinkle half of cinnamon-sugar over butter. Starting with one short side, fold dough in half. With rolling pin, gently roll out dough into rectangle. Repeat again. 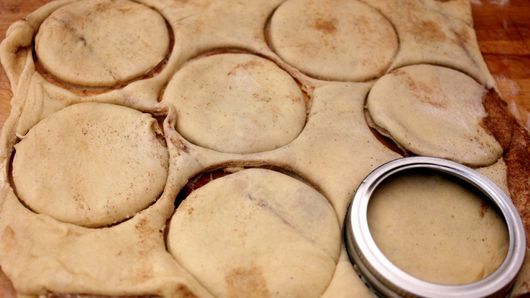 With 3-inch cookie cutter or canning lid, cut out 6 cookies. Re-roll remaining dough; cut out 1 cookie. Place on cookie sheet. Bake about 12 minutes or until golden brown. Remove from cookie sheet to cooling rack. 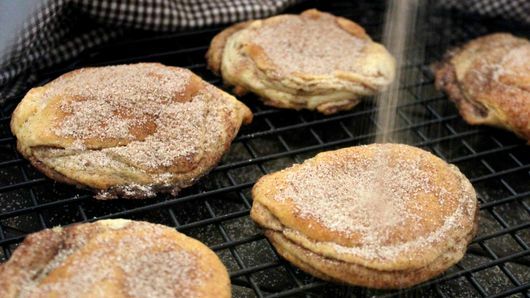 While cookies are warm, dust with additional cinnamon-sugar. Cool completely, about 30 minutes. In small bowl, beat frosting ingredients with spoon or whisk until thick and smooth. 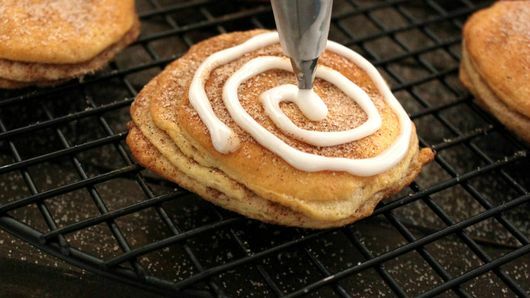 Pipe frosting onto cookies. Let cookies cool before frosting them. But if you can’t wait until they’re cool, that’s ok!